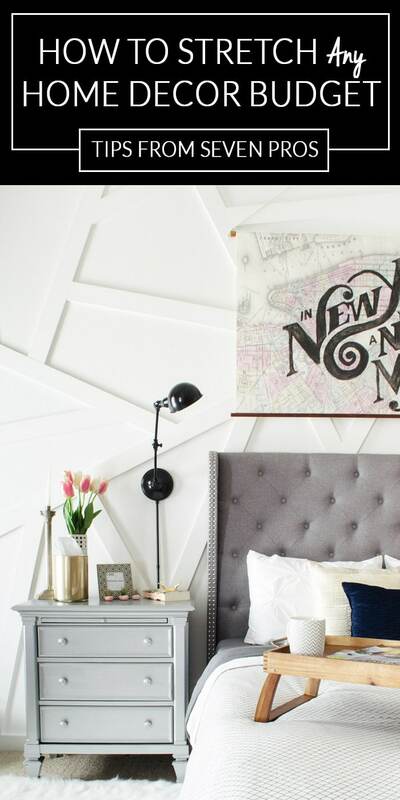 It’s easy to look at home decor blogs and assume we all have endless bank accounts. I’ve been lucky enough to meet a wide variety of bloggers in person. No matter their style, location, or square footage, they all work within very real budgets. Each one remains serious about saving money to stretch that budget while still creating stylish, functional homes for their families. Today, I’m kicking off a series with my new team where we ‘Tell All’. Each month, my team will answer one question from their own point of view. Getting multiple perspectives makes it VERY likely someone’s advice will be applicable to your own situation. If you have a question you’d like us all to answer, leave it in the comments below or email me! As you may have guessed from the intro, I boldly decided to go straight into finances for our first ‘Tell All’ column. 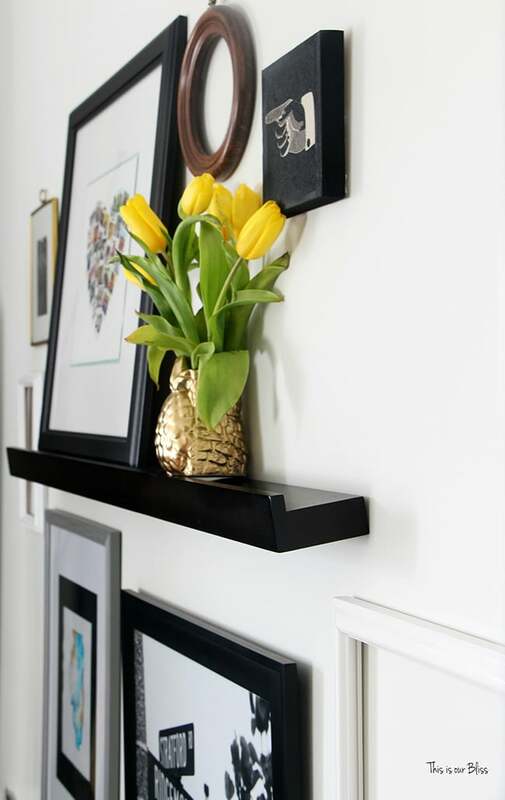 Where do you pinch pennies to stretch your decor budget? All that talk is good, but we’ve got some fantastic examples too. Rachael’s not kidding when she says she gives thrift store pieces “some love” to make them her own. This chic, gold pineapple vase was $0.99 and supremely ugly before she got a hold of it. Now, it fits perfectly into her style and no one would know it cost less than a soda. Seriously, you’ve got to see the before photo here. 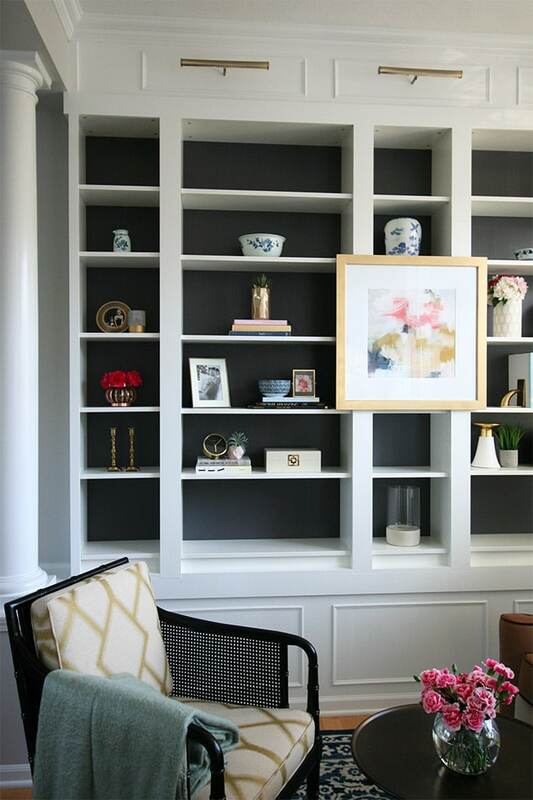 Colette put together a gorgeous living room for the last One Room Challenge, and has a whole post about how they stretched the budget on everything from bookcase decor and furniture to the curtain hardware! Nicole mentioned the 50% off sales at Hobby Lobby, and that’s one of my favorite places to snag affordable art as well. 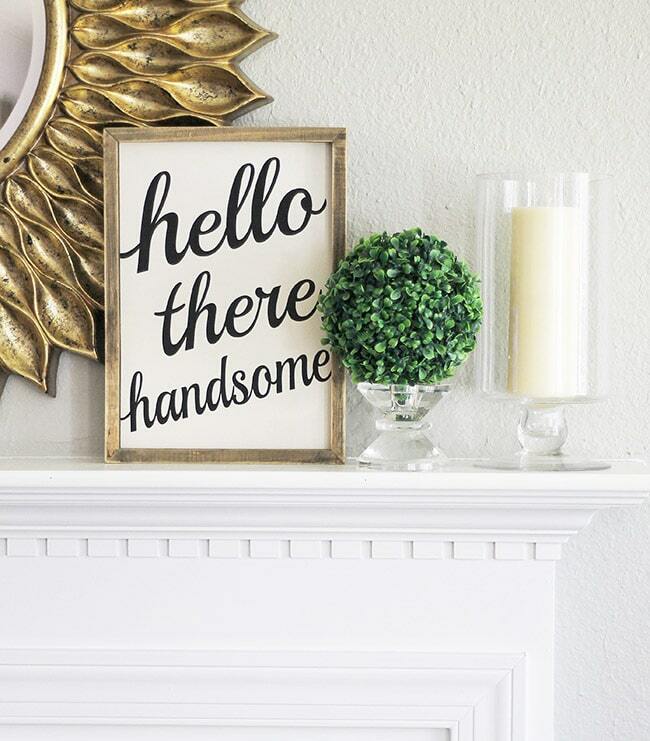 Look at this adorable piece on her mantel. You can see the other side of the mantel on her Instagram account (@shedoesabunch). Here’s one of the nightstands we painted when we worked on the master bedroom. I REALLY wanted some pretty mirrored nightstands, but best case scenario, that would have been another $400. Fortunately, the paint was only $30 and the old nightstands look new again. The wall-mounted lamps in the picture were another huge budget win. After dreaming of some modern dramatic fixtures that were several hundred dollars each, I found these gems on clearance at Lowes for $20. Instead of using them with the arm bent, as intended, I straightened them out for the more modern look I wanted. I’m still not a fan of the builder-basic beige carpet, but I think we did a great job drawing eyes away from it until it can be replaced. Let’s hear it – which was your favorite tip? What do you want the team to answer next month? Such fabulous ideas & savvy shopping tips! Loved this first team Q & A post! !